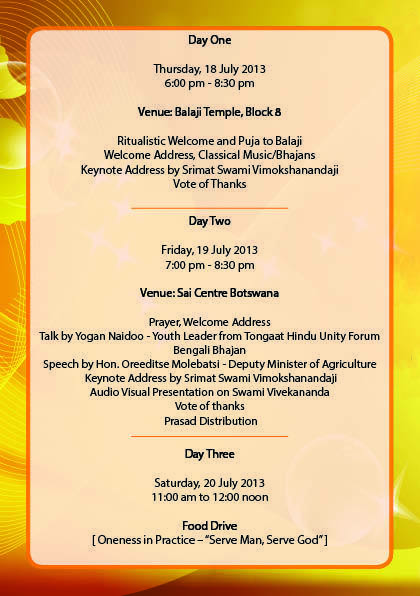 I pray to THE HOLY TRIO for the grand success of the Gaborone programme. 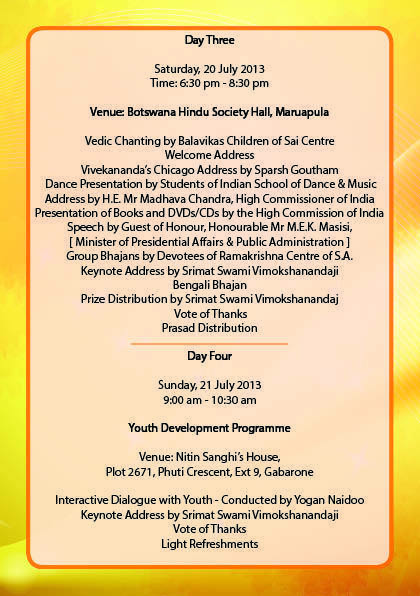 Your prayer for the success of the Gaborone programme was indeed granted by our Lord! Yes, I have no suitable words to express my heartfelt thanks to your daughter who took all care of me. Not only so, she was the main instrument in bringing an idea into a project and converting it into a source of inspiration to many. A worthy mother to have got Sreedevi as your daughter! Hope you have gone through her entire Report. May you inspire her more and more! Pranam to thy blessed feet! Thanks for your best wishes! Yes, by His grace the tour was successful! Hope you have gone through the Report that I sent you. I feel so happy that message of Swami ji is spreading to all the corners of this world, thereby benefitting one and all. 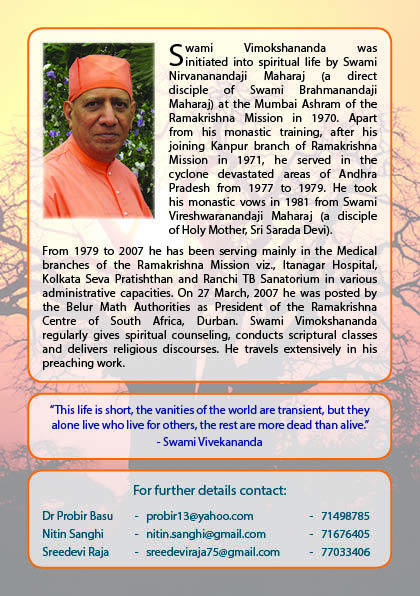 Yes, its true that Swamiji’s message is spreading far and wide. 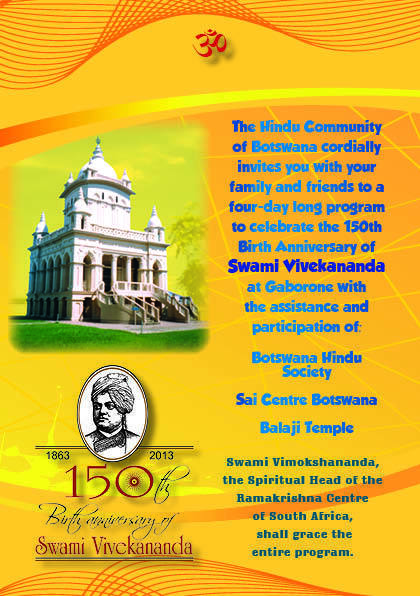 Within recent months, in Africa besides South Africa, Lesotho and Botswana celebrated Swamiji’s 150th birth anniversary. Now in the next month Zambia is going to celebrate.